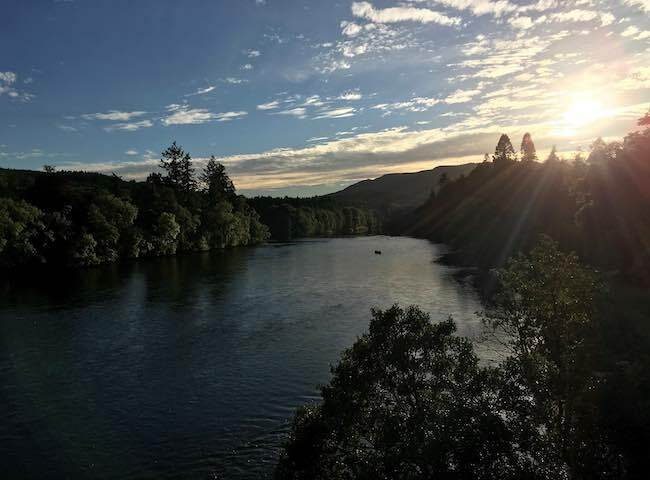 Here's a perfect low light shot of the River Tay taken from the 200 year old Telford Bridge in Dunkeld. This entire area of the Tay Valley is steeped in amazing natural beauty. 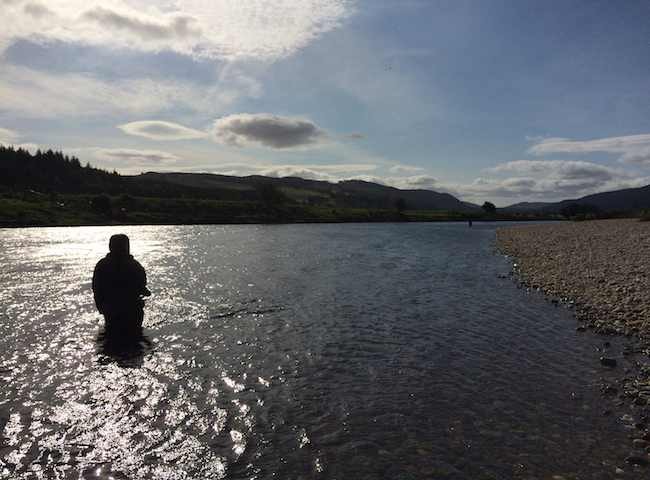 Tune into mother nature with a professionally organised salmon fishing event day for your colleagues on the amazing riverbanks of the Tay in pursuit of Scotland's most iconic gamefish. 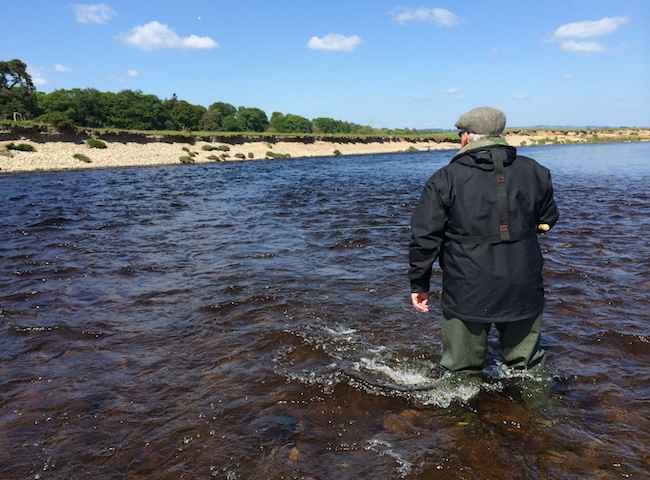 Show your business associates how to master the art of fly fishing on Scotland's premier salmon river via a professionally organised salmon fishing event day. There's an unbelievable sense of satisfaction, intrigue & excitement involved in the capture of a wild Atlantic salmon. Take the challenge and experience this thrill for yourself. 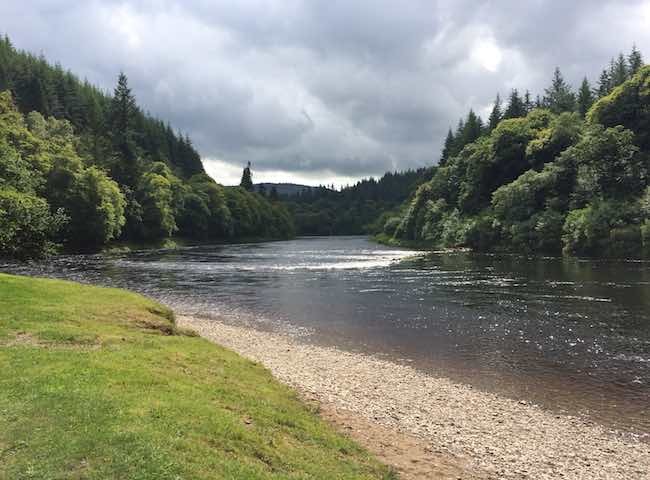 Most of the quality salmon fishing venues on the River Tay have good vehicular access where you can drive from pool to pool in search of salmon. 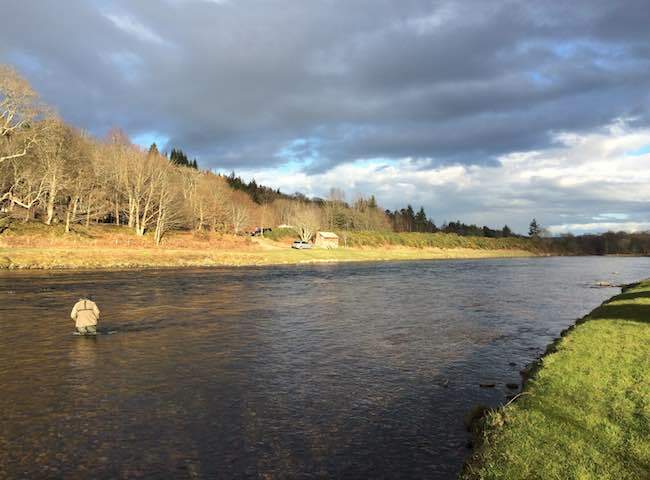 With easy access from all the major Scottish cities the River Tay Valley and its quality salmon fishing beats make the perfect venue for your salmon fishing event day. 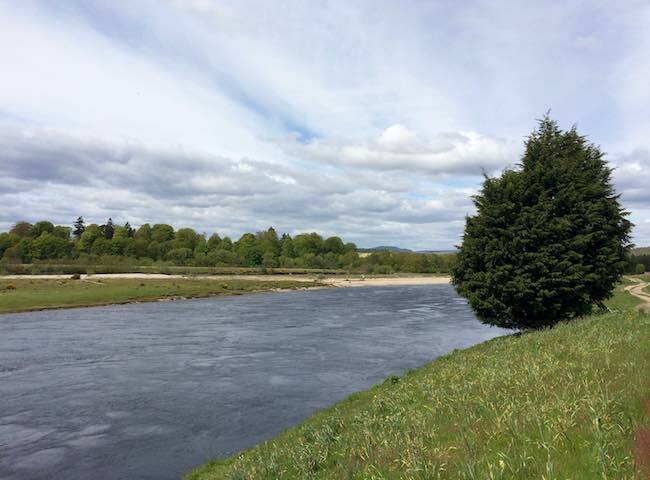 On many of the Tay's fabulous salmon beats you'll feel your in the scene of a picture postcard. Treat your colleagues to an outing into Scotland's finest natural surroundings. 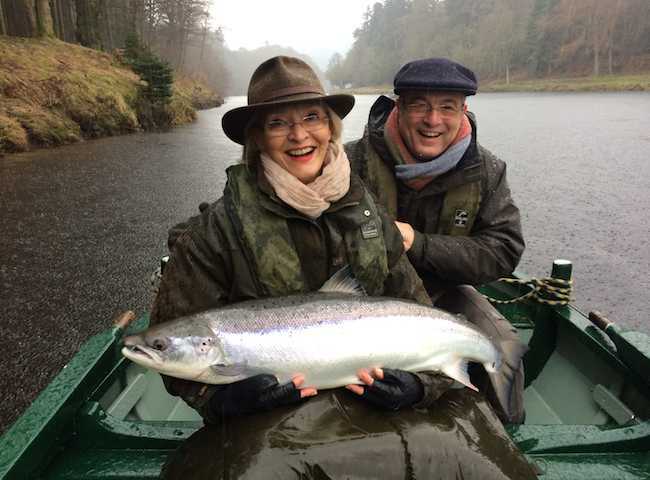 Here's the first of two perfect River Tay Spring salmon for this delighted guest. 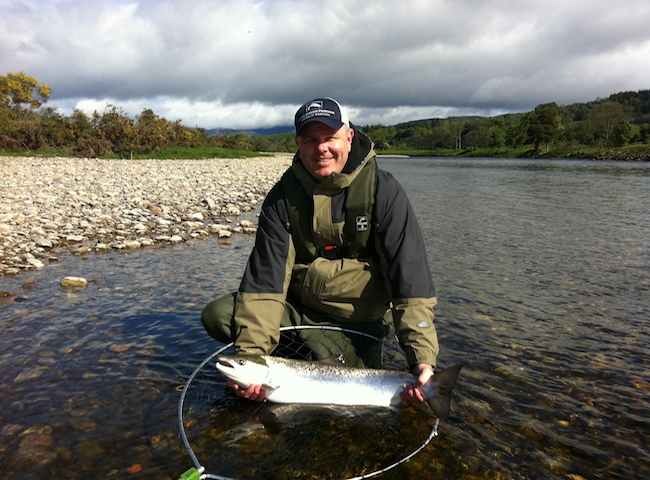 There are many memorable things you can do in life but none more so than catching an Atlantic salmon on the fly rod. 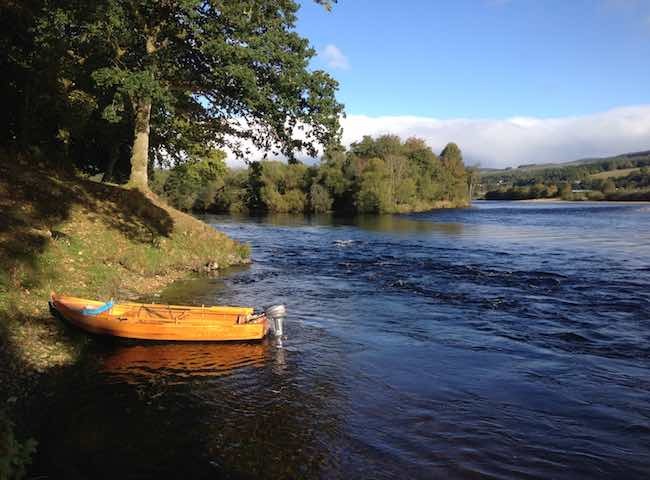 Here's a traditional Tay fishing boat at the ready and matching perfect salmon fishing conditions. What more could you ask for other than an encounter with the 'King of Fish'. Here's a highly colourful Scottish salmon riverbank shot. 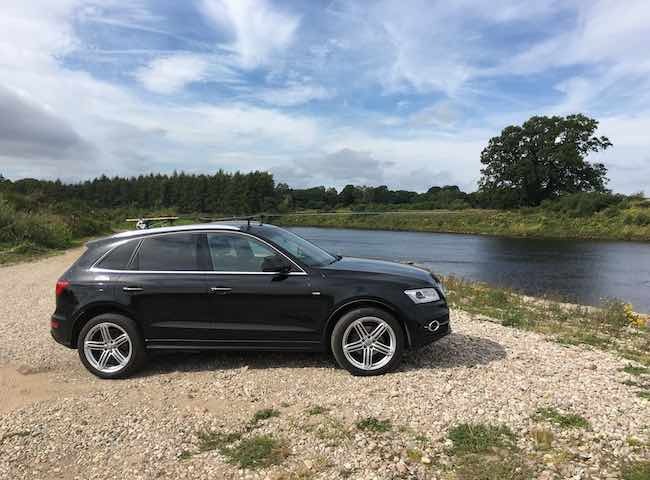 With special scenery like this it is no wonder there are so many new anglers getting involved in this amazing pursuit. This is one of the reasons why the Tay is so special. 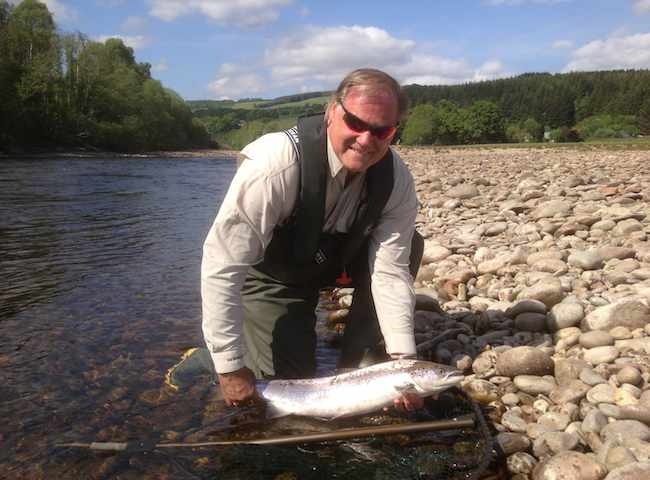 Salmon of this caliber are caught often on the Tay and especially by lady fishers.